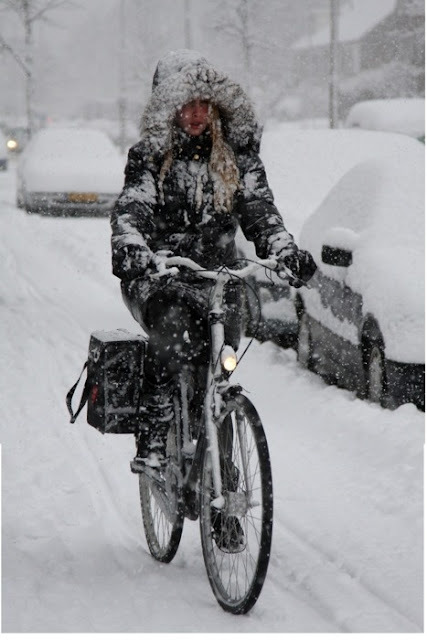 Riding your bicycle during the cold weather months may seem like a terrible idea for some, because who in their right mind, really would enjoy being frost bitten and shivering when they arrive at work? Luckily, with a little creativity and planning, you can continue to ride your bike throughout even the coldest winter days and arrive at work feeling great and perhaps a little more rejuvenated by the cold air. Most people imagine themselves wearing the thickest clothing possible when they ride a on a cold day. They may picture in their mind this bundle on a bike that resembles human form, only a hundred pounds heavier than their normal weight. No one wants to go to work dressed like that and if you do, it will be very bad in more ways than one. You will actually be colder if you dress in bulky items. The best way to handle the cold is layers. Perhaps wear your usual work outfit, followed by longer socks or leg warmers and a pullover sweater, and topped off with a windbreaker. Admittedly, the first couple minutes of your ride, you may question your sanity because you will be cool, but within a few minutes of pedaling you will be nice and warm. However, you will not be so warm that you work up a sweat, which is where bulkier clothes may cause you a problem. With bulky clothes you end up getting too hot. Sweat may start to form and then when you stop at a light, all the sweat and warmth may start to chill. This means your arrival at work will definitely send you into a fit of shivers, if you do not end up with hypothermia. If you are like most people, the coldest part of your body will be your extremities. For this, wearing gloves, thicker socks, maybe waterproof boots or waterproof high heel covers, a scarf, and other things may come in more handy than that big overgrown stuffed jacket as well. The good news is, you can also take it one step even further if you want to ensure the comfort of your other more delicate areas. 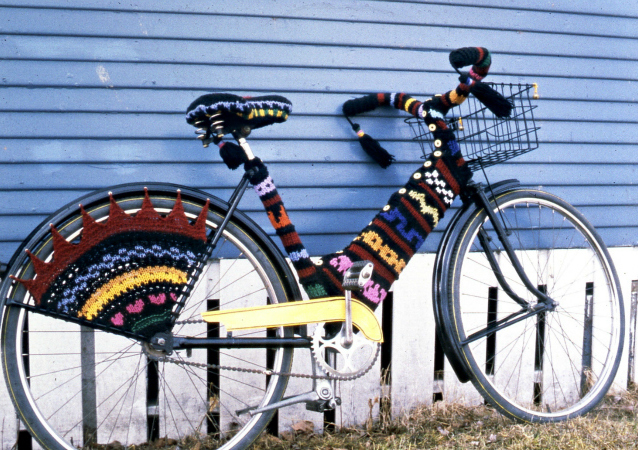 Simply consider your option to dress your bike for the winter’s chill as well. If your great aunt is always asking if she can knit you something, put her to work. 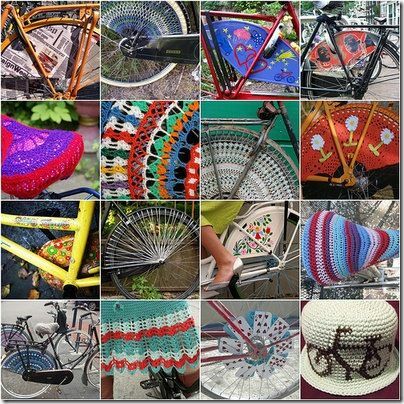 If you do not know a knitter, some accessories can be found with relative ease and all of them have the sole purpose of ensuring your comfort while you cycle through winter. 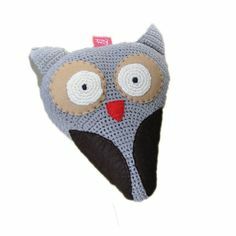 We would suggest using or getting 100% wool for your knitted accessories. Wool is well know for its ability to regulate climate, repel water, and as well as being highly durable, its also super colorful. 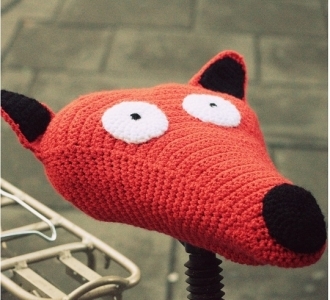 Knitted handlebar covers are a great option for anyone who hopes to keep their hands a little less frosty. When paired up with gloves that are designed to keep you warm, your fingers will arrive at your destination without the frostbite feeling that you may expect. The woollen handlebars grips will hold in the heat which your hands generate, making your ride that little bit more pleasurable. If you have snow in your area, rubber boots and snow tires for your bike could be a viable option and help you avoid getting a chilled set of toes. The tires will enable you to not have to push as much and the boots will keep your feet dry during slush or other spraying water. Another great option is to get a knitted seat cover for your bike if you have a rubber or plastic seat on it. Rubber and plastic will stay chilled, and unfortunately, so will your bottom end. 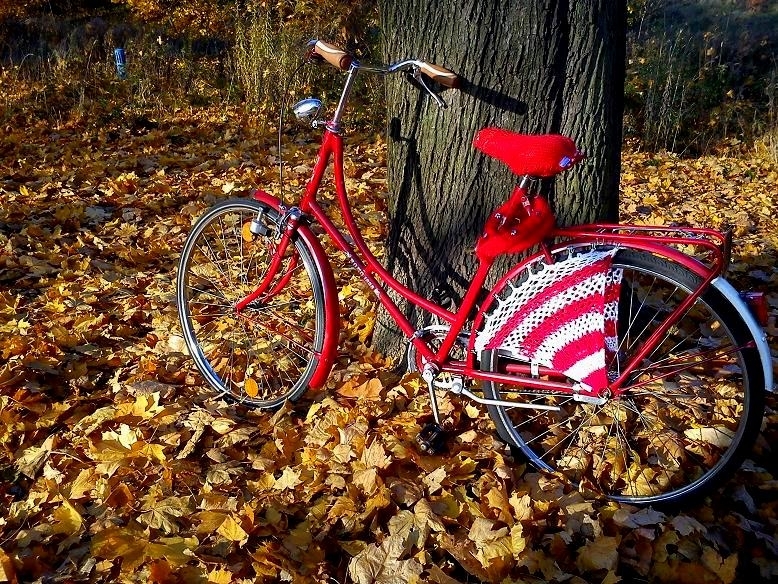 A knitted seat cover or even a cloth cover for your bike may ensure that your buns stay toasty. As an added bonus, these seat covers are super fashionable right now coming in a range of styles and color’s, including some fun animal design. It’s a great way to show everyone that the bike is yours and you do have a sense of humor. These covers are easy to slip on and off with generally a button or tie underneath to secure them to your bike seat. For the best results to keep you warm we would recommend removing them when not in use. 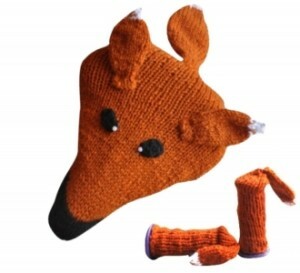 This will help to just you that little extra head start in warmth is they aren’t left out in the cold. If it is a winter’s day that dawns wet, you can increase your comfort by putting an umbrella on your bike. Some can be put on the handlebars and others can attach to the seat behind you. Either way, drier will definitely increase your ability to stay warm. If you lock your bike up while you are at the office, stop worrying about how cold that chain will be to touch and unlock. 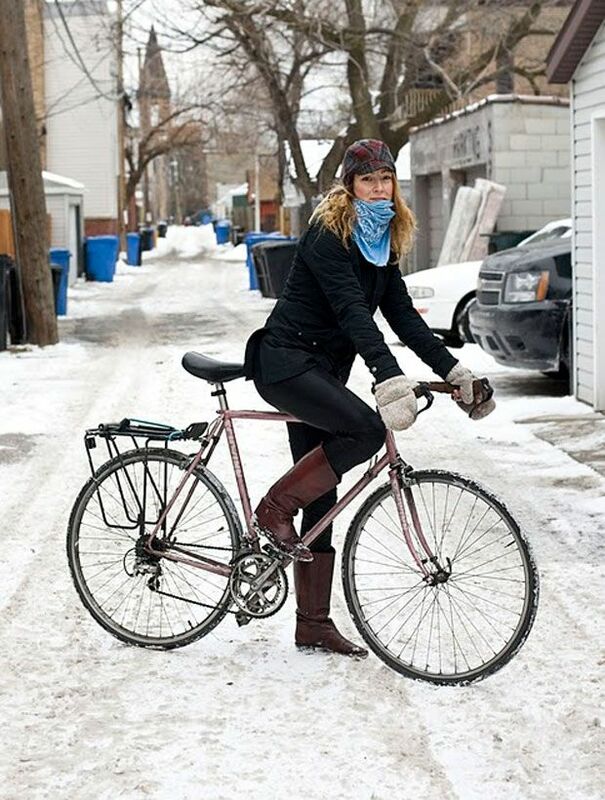 You can make or purchase a knitted cover for it as well so that at the end of the day, you will not be touching a bike lock that freezes your fingers while you fumble to get your bike free. 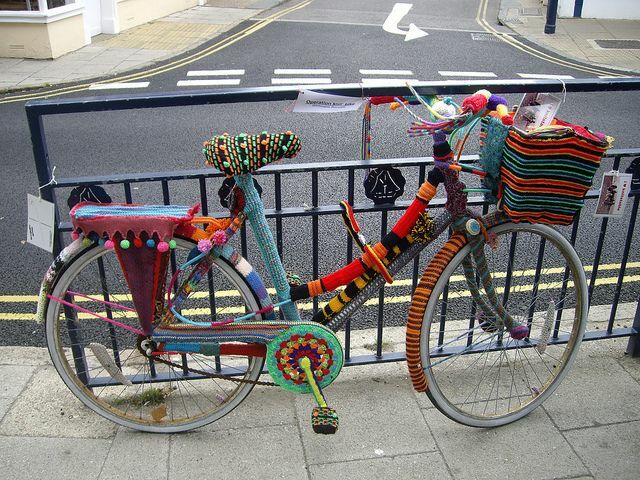 Or if you love to knit you could go all out an yarn bomb your bike. We think the style and look of these bikes is awesome. Who doesn’t need a little more color in their life! Hybrid vs Road Bike: What Difference Does It Matter?